Please note that the 2018 Ale Trail ended on Monday 27th August. 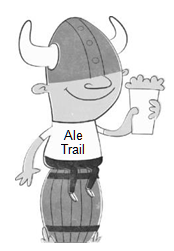 This page will be updated with Ale Trail 2019 details when they are available. The previous ale trail is still available to download for anybody who is interested. Pick up your Ale Trail leaflet at any of the participating pubs on the list below. Or download and print your own pocket sized copy. We also have two bus trips to the country pubs that are open to all, so you don’t have to be a CAMRA member to enjoy a relaxing day out. More Information on these trips is on the leaflet.